We have been exploring the new website for the Village of Sendero, and one thing that jumped out at us is the planned community core. 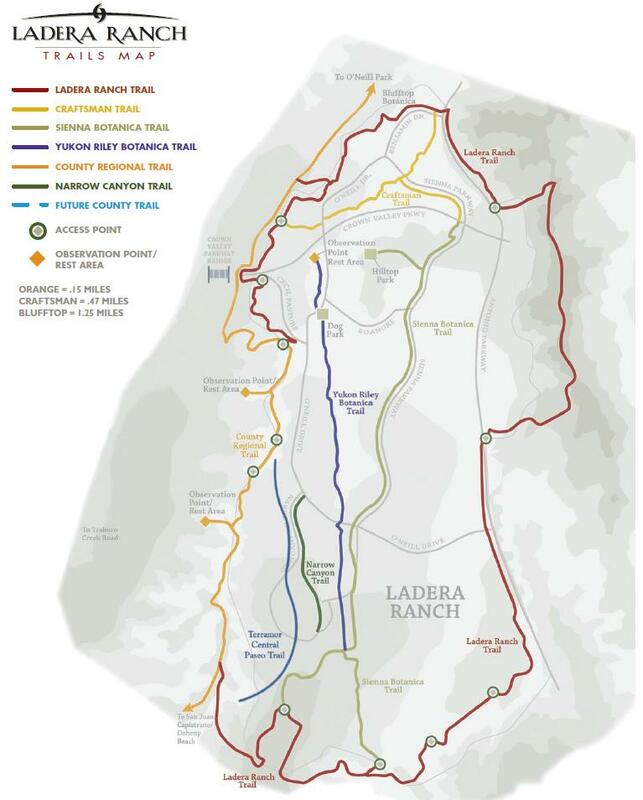 Sendero will feature a wide greenbelt of linear parks called “El Paseo” running between the “switchback trail” (connecting Sendero to Ladera) and the San Juan Creek. Along its meandering paths will be several playgrounds, a demonstration garden, a putting green, fire pits and bocce ball courts. 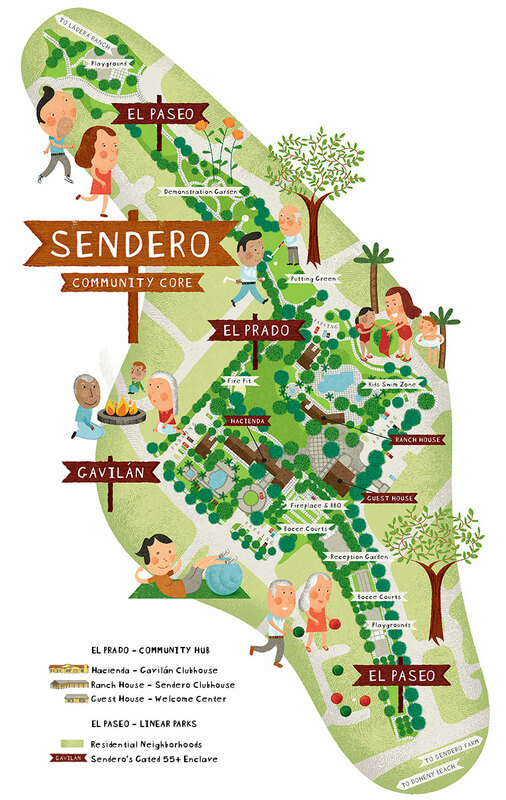 At its center will lie El Prado, the community core of Sendero. El Prado will consist of the Ranch House (the Sendero clubhouse and pool area with a kids swim zone), the Hacienda (the Gavilan Clubhouse with pool) and the Guest House (a Sendero welcome center). These three structures are framed and currently under construction. Below please find an enlarged map of El Prado containing tantalizing details about El Paseo and the Sendero community amenities.